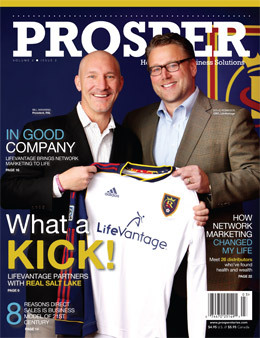 Prosper Magazine is a quarterly magazine that focuses on home-based business solutions. Each issue highlights a different direct sales company and those who are succeeding in building their businesses. Prosper Magazine — along with its sister publication, Celebrating Women Magazine — is distributed nationally in bookstores and through the featured companies themselves.